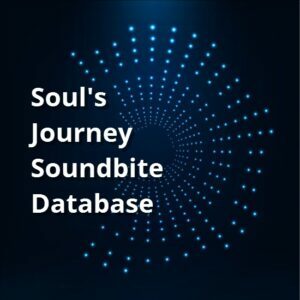 This database is a revolutionary new teaching tool comprising (as of November 2018) 534 Soul’s Journey Soundbite mp3 readings recorded since late 2011 that I’ve anonymized. It’s a searchable database for those interested in learning how I do unique, cutting-edge evolutionary astrology informed by my channeling of Ascended Master Djehuty (a.k.a. Thoth, St. Germain, Merlin, and Hermes). A Soul’s Journey Soundbite is a 4-step reading that, in around 20 minutes, covers all of the major themes of a person’s life. I routinely hear from clients that I seem to know them better than anyone else in their lives, yet we’ve never met or spoken, and they’ve told me nothing about their lives. Soundbites are cold readings, but I see the soul’s plan. I describe not just what it is, but how to overcome blocks and fears sourced in other-life beliefs, which means that each Soundbite is filled with instructions on how to identify and change karma. People tend to listen to their Soundbites many times, getting new insights into the arc of their lives each time. Covering Pluto, the South Node of the Moon, the South Node ruler by sign, and the North Node (all considering house, sign, and hard aspects), the soul’s intentions are revealed. The database is searchable for details related to the 4 steps of what I call the karmic story: house, sign, and hard aspects of each of those 4 symbols, as well as if Pluto or the South Node ruler is retrograde. Day, month, year of birth, and gender are also searchable. The best part: You can listen to each mp3 to hear my delineation as you view the chart, too (note that about 30 mp3s do not have accompanying charts due to a data loss a few years ago). Watch an overview video introducing the database, watch a video walk-through including screen shots with instructions about navigation and executing searches, and read the PDF instructions with details including how to search the database and more (you’ll want to keep this PDF handy until you get your bearings in the database, especially regarding search terminology and navigation). Once I see your payment, I’ll provide you access to the database and instructions on getting set up. It may take up to 24 hours. I’m happy to announce this course is now available for download! I taught this through Astrology Hub within the last couple of years. It covers Pluto generations from Cancer (births beginning in 1913) to Capricorn (births happening now and until 2023-2024). The course introduces my work on Pluto as the empowerment journey that the soul sets out for the human to experience over the course of many lifetimes. It continues by explaining the ups and downs inherent in Plutonian journeys in each of the 7 signs, setting you up to understand yourself, your parents and perhaps grandparents, your siblings, and your children–as well as everyone else in your life. 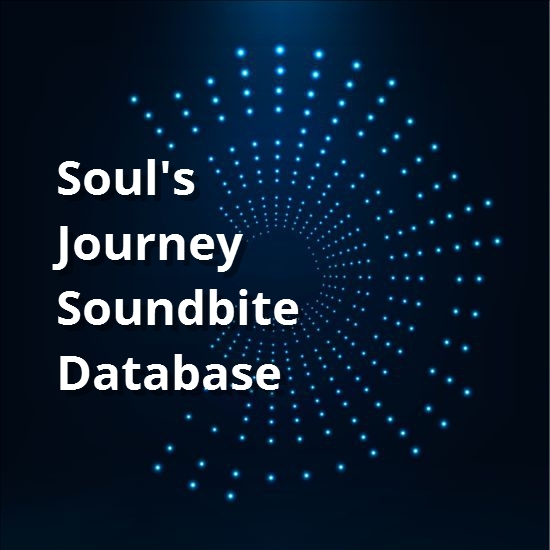 A bunch of bonus dealios are included with the course, including The Soul’s Journey I and The Soul’s Journey II PDF ebooks, the slide shows for all 7 classes, the audio recordings alone, and more. Click on the banner above to read all the details and order. $97. A six-part home-study course to introducing a fast-growing approach to evolutionary astrology. In this home-study course, I’ll provide you with high-level information on the nature of soul and its multilife journey (as channeled from Ascended Master Djehuty, a.k.a. Thoth, St. Germain, and Merlin). You’ll then learn the four steps of karmic analysis central to my evolutionary astrology work–Pluto, the South Node of the Moon, the South Node ruler by sign, and the North Node–and begin practice with detailed instructions with charts I provide. This spiritual, multidimensional approach to astrology will allow you to understand how and why people are wired the way they are and how to help them overcome challenges while making the best choices possible. It is divinely designed to get at the core of root issues that often prevent us from true health and happiness. Familiarity with astrology basics (planets, houses, signs, and aspects) is recommended. 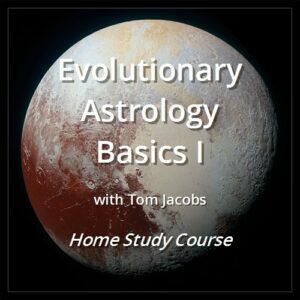 Even if you’ve studied evolutionary astrology with others, and even if you practice it, this course contains new information, perspectives, context, and tools. If you would like to study with me in live classes down the road, this is the place to begin. The goal of this course is to introduce you to the big picture of this cutting-edge approach to EA (which will come into play in all astrology study with me), and then teach you to create sentences for the 4 steps of karmic story analysis (Pluto, the South Node, the South Node ruler by sign, and the North Node) to build a scaffold onto which real human stories can be framed in more advanced courses. I use the 4-step process each and every time I look at a birth chart to understand where the soul has had the human over the course of many lifetimes. Module 1: The channeled model of soul, reincarnation, and karma that is the basis of my astrology work. New perspectives on each topic that will change how you see a human and the multilife journey of soul. Module 2: Pluto as the empowerment journey the soul sets out for its humans, including a new vision of power and how to heal Plutonian issues. My take is unique, building on and advancing what others in EA have offered. Module 3: The South Node of the Moon/North Node as markers of many lifetimes of karmic conditioning including family/ancestry and community. Module 4: The South Node ruler by sign as revealing the chart holder’s identity and role in many lives. Modules 5 & 6: Beginning practice forming sentences using these symbols to discern a karmic story from the chart. I must comment that in listening to the recordings this is an excellent class. You have a powerful innate understanding of what you’re talking about. But, more important than that is how you communicate with such clarity. Delivered via Dropbox. I’ll send you a link to join the folder once I see payment. Allow a day or so. EA Basics II (below) will be available as a home-study course by the end of 2018. This stand-alone mp3 home-study course covers transits from Jupiter, Saturn, Chiron, Uranus, Neptune, Pluto, and Eris to planets and points in the birth chart. The planetary archetype and the questions it asks in transit to the natal chart are explained in detail. How to work with clients to help them make the most of each transit’s opportunity is a focus. Conjunctions, sextiles, squares, trines, and oppositions by each transiting planet are covered in detail. Finally, a handful of examples for Jupiter conjunction, Saturn square, Pluto opposition, etc. are included. My aim is to teach you to think astrologically, so a great deal of time is spent teaching you to see the archetype on multiple layers and understand the human psychological and spiritual conditions. 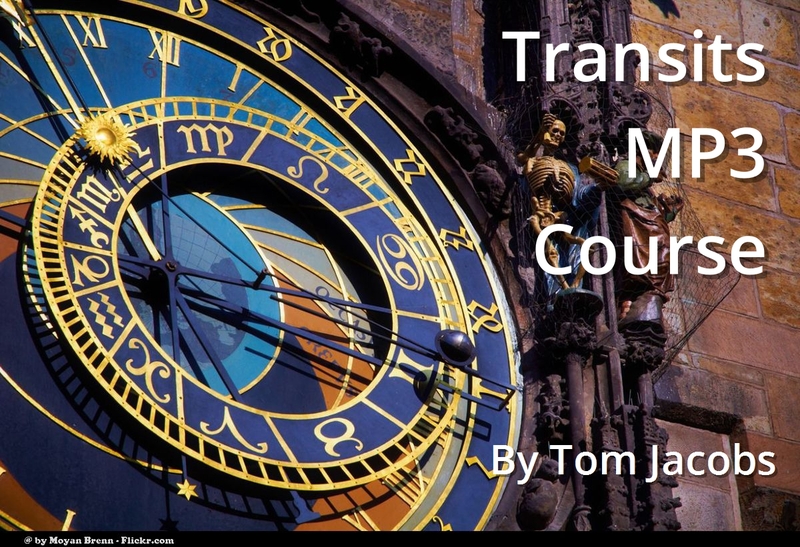 This course involves some memorization but the main focus is on helping you learn to work with people and the kinds of issues longer-term transits bring up in their lives. In each section I contrast different responses a chart holder might have to the transit, going deeply into how to help people through challenging times. As of Wednesday, 20Feb19: The introduction, Jupiter, Saturn, Chiron, and Uranus transit mp3s are available (over 12 hours together, while I expect the entire course to total around 18 hours). I’ll make the others available as I finish them over the next couple of months. Preorders are open now. If you purchase the course now, you’ll be added to a Dropbox folder containing all of the materials. You can set notifications on that site to alert you when new files are added to folders to which you have access. For my subscribers to my monthly forecasting service, $150. A 6-week home study course open to those who have taken EA Basics Level I. This course focuses on forming sentences to create a bare-bones karmic story from example charts. Aspects to Pluto, the SN, SN ruler by sign, and NN are added, fleshing out the story. Attention is given to ensure that each student can tell a basic 4-step karmic story in any chart including aspects. Stay tuned for the home-study option. 11 hours, 25 minutes. 11 mp3s delivered via Dropbox. This is the original Chiron material from me, translated into an astrology teaching after I channeled Ascended Master Djehuty (a.k.a. Thoth, St. Germain, Merlin, Hermes) in early 2008 about what 2012, or the end of the Mayan Long Count Calendar, was all about. His answers were about understanding new levels of Chiron’s call for accepting uniqueness and vulnerability and opening the heart. He also emphasized healing the inner child who was shaped during early life with a sense of being worthy of rejection, instead of being worthy of love. 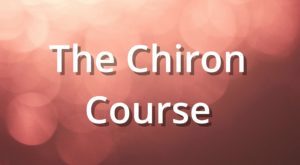 Chiron’s myth and archetype, houses, signs, natal aspects, transits and progressions are covered, as is the Chiron return and Chiron retrograde. 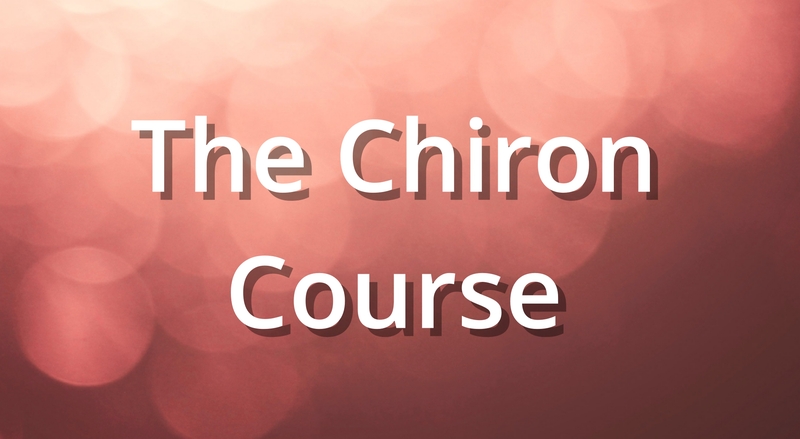 This course was later transcribed and edited to become my book Chiron, 2012, and the Aquarian Age: The Key and How to Use It. $65. Order via PayPal here or contact me for another form of payment. I’ll give you access to the Dropbox folder as soon as I see your order, definitely within a day. Note: I’ve heard from listeners that I appear to be half in channeling mode during these recordings, and so be aware that your consciousness might be altered a bit when listening. Maybe listen to some of it first when not driving or operating machinery in order to gauge if the vibration affects you in a significant way. 5 videos totaling 5.5 hours, 5 PowerPoint presentations, 5 PDF handouts covering astrological houses and signs. $50 via PayPal or contact me for another form of payment. Bodies covered: Ceres, Persephone (399), Pallas Athene, Juno, Vesta, Lucifer (1930), Eros (433), asteroid Lilith (1181), Arjunsuri (20300 – I’ve introduced this to astrology), and the centaurs Chiron and Nessus. The difference between myth and archetype can be vast, and I’ll show you how to read between the lines with all 11 stories. Myth is used for social instruction, while archetype is the thread within the human psyche that is the story we’re actually living. Using the videos and handouts, you’ll learn how to approach each body in astrological charts not with a few keywords but with an understanding of how we live these stories. A fantastic tool for enlarging your astrological vocabulary to better fit with how we actually live! 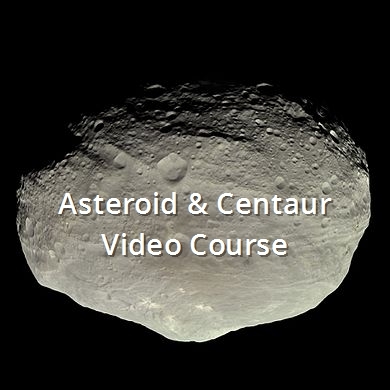 Purchase the video course via PayPal. You’ll receive an invitation to join a Dropbox folder containing the files within 24 hours. An 8-week webinar open to those who have taken EA Basics II. This course deepens your understanding by providing numerous deeper layers of understanding, as well as tips and tricks to shorten prep time and clean up how you charts. These include deeper layers of aspects to Pluto, the nodes of the Moon, and the SN ruler by sign and assumptions it’s not only safe to make but that are highly accurate regarding the chart holder’s multilife journey. You will also learn the fundamentals of how karma is/beliefs are created and how to change them, a central focus of the courses going forward. No courses scheduled at this time. Be in touch if you have taken EA Basics I & II and want to take this. 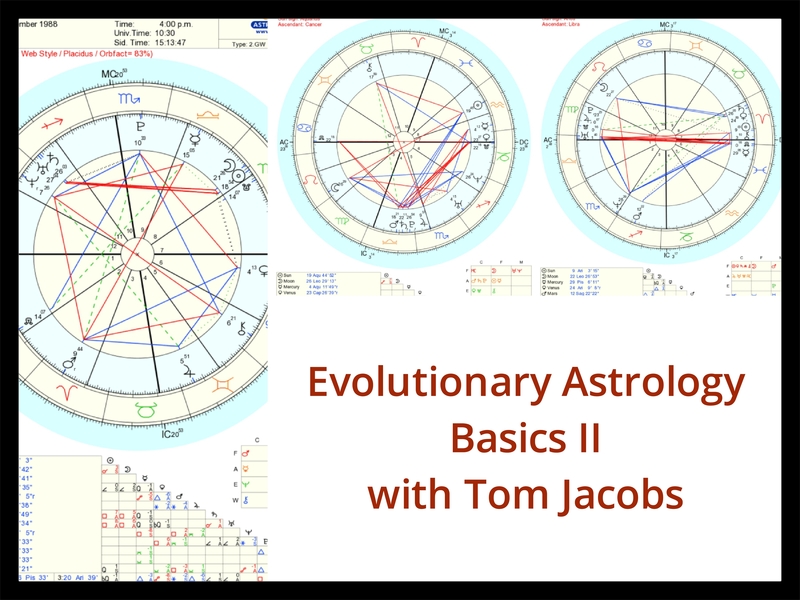 Evolutionary Astrology Intermediate II will focus on you answering questions from me as if I’m a client/the holder of numerous example charts. Evolutionary Astrology Advanced I & II will center on preparing readings for clients as homeplay and learning flexibility and multiple interpretations for the same symbols, grounding in practice how to work with the multidimensional nature of a human and his or her chart. Evolutionary Astrology Practicum will prepare you to work with live clients through numerous live examples. I teach astrology as a living, breathing language, not as sets of lifeless data. By studying with me, you will learn to speak the language that astrology is, incalculably richer and more vibrant than typical astrology tutorials or learning from books or websites. I tailor the sessions to each student. I’m currently taking on new astrology students. The rate is $50 per hour, with a discount on packages of 4 ($46/hour) and 8 hours ($42/hour). Lessons are in Beaverton, OR or over the telephone or web conference. 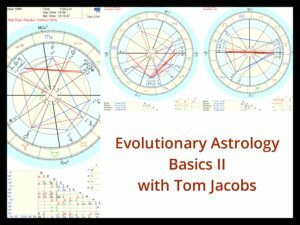 Tom not only brings extensive practical knowledge to his teaching but freely shares his innovative and intuitive style that is raising the world of evolutionary astrology to a new level. Not only have I thoroughly enjoyed my classes with Tom but he has introduced me to the kind of astrology I have been searching for. Tom has been quite helpful to me as an astrology tutor. My main issue had been spending a very long time preparing for consultations with my clients. Tom has taught me how to prepare for a consultation with greater ease and a more reasonable amount of preparation time. Happily my clients seem equally pleased with my work even though I put less arduous time into preparation. I found Tom to be both deeply insightful and inspiring in very original ways. The reference points he has incorporated into his work, the voice he hears, allowed me the window for understanding and peace with aspects of myself and my walk that had previously confounded me. 1 hour tutoring, $50. Purchase. 4 hours tutoring, $184 ($46/hour). Purchase. 8 hours tutoring, $336 ($42/hour). Purchase. E-mail me or call (213) 925-6019 to arrange for other forms of payment and to set up lessons. 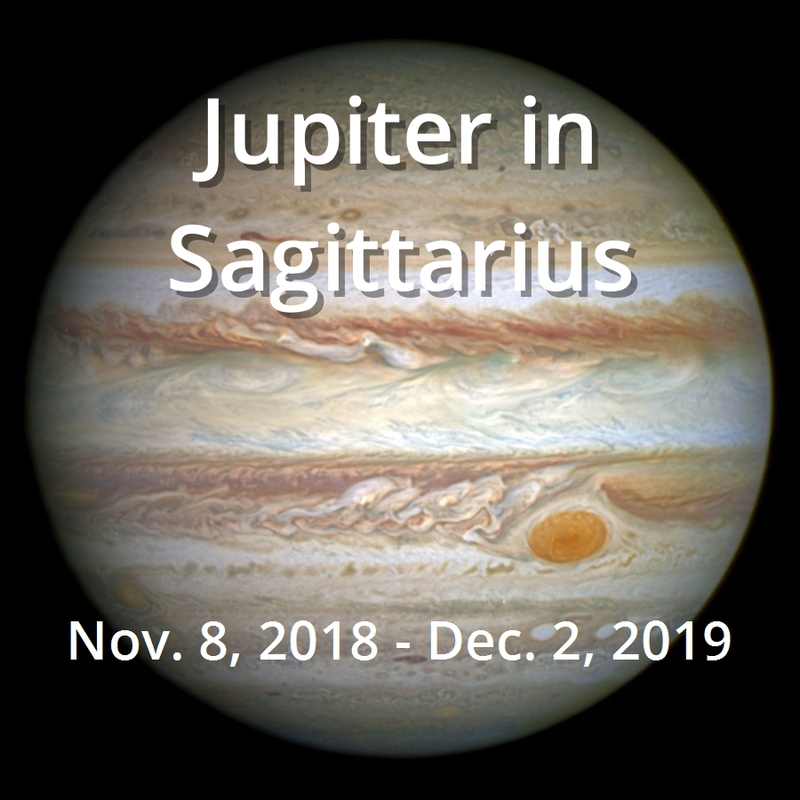 Jupiter in Sagittarius, 61 minutes plus the PowerPoint PDF. A recent subscriber class plus Q&A. 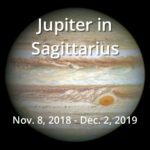 After explaining a bit on natal Jupiter, I address what transiting Jupiter asks of us before going into depth about what Jupiter's transit through Sagittarius will bring up for individuals and the collective. How to understand the 4-month retrograde period and its square to Neptune in Pisces during part of the year are covered in detail. $15. 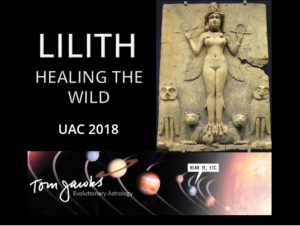 Lilith: Healing the Wild, UAC 2018. 56 minutes; presentation and outline included (PDFs). 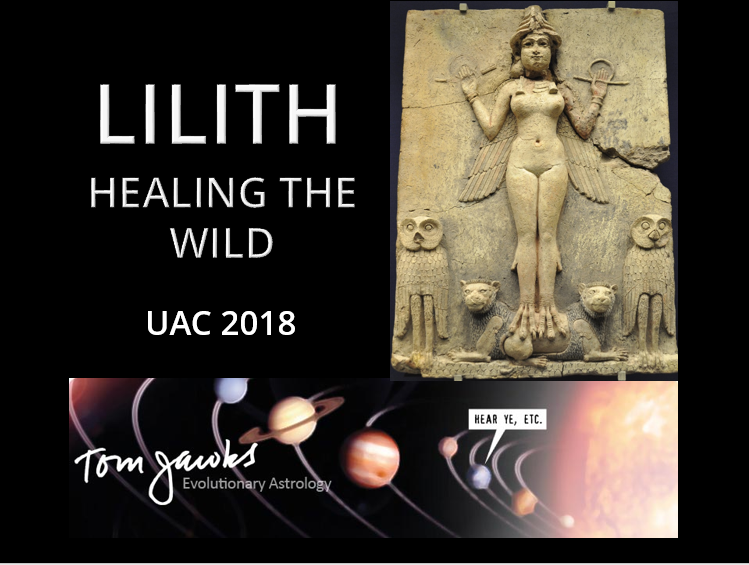 I explain why Lilith matters, Lilith's myth (social instruction) vs. archetype (how a human is wired), the mean vs. true BML, and provide an overview of true BML astrology. Three audience examples are included. Not an automatic download. When I see payment, I'll send links to download the mp3, the presentation, and its outline. 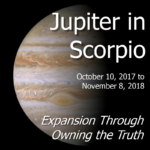 Jupiter in Scorpio, 69 mins., $15. 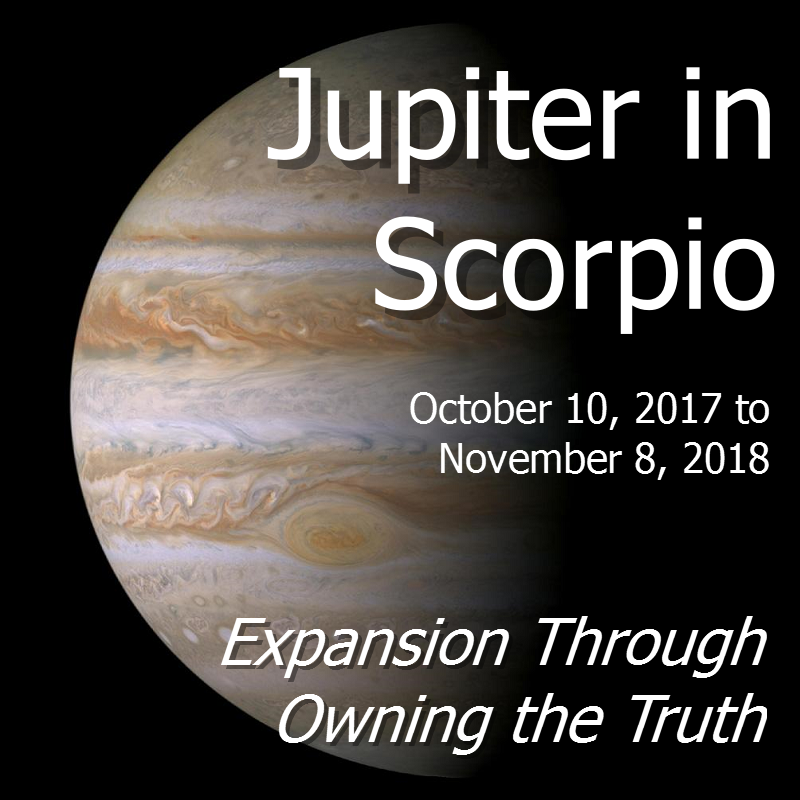 I explain the meaning of Jupiter from a spiritual perspective, what Jupiter asks in transit, and what planets in Scorpio are all about. A number of psychological, emotional, and sexual themes are then listed and explained to give you an idea of what to expect during Jupiter's transit through Scorpio, as well as how to deal with it. Much emotional and psychological content will be dredged up during this 13-month time, most of which we believe we can't deal with. I explain how to face the most difficult of Scorpionic/Plutonian emotions to resolve and release them. 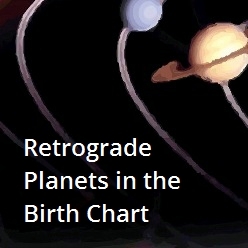 Retrograde Planets in the Birth Chart, 117 minutes, $18. I explain the technical side of a retrograde planet before going into depth about to understand them in birth charts in general. Mercury, Venus, Mars, Saturn, Chiron, Uranus, Neptune, and Pluto are then explored in depth both as a function of the psyche and life and when found retrograde in birth charts. 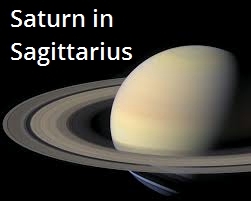 Saturn in Sagittarius, 58 minutes, $10. Saturn's transits get a bad rep but there are wonderful things that come from them ... when we're willing to work with this planet of planning and doing. Here I explain how to work with Saturn's energy intentionally as it travels through Sagittarius, dissolving the mystery of how to make the most of this planet's time in this sign. 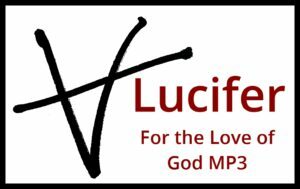 Lucifer: For the Love of God, 69 minutes, $15. The first public presentation of over three years of work with the Lucifer archetype, this workshop separates the fear-inducing core of the Judeo-Christian myth of Samael/Lucifer from how we live this doubter's story. Samael/Lucifer's problems are basic human problems, and we each live his story in our explorations of the right size, kind and use of ego in our lives. Neptune in Pisces, 60 minutes, $15. 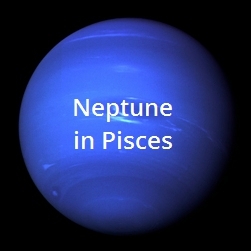 This mp3 explores the meaning of Neptune, its passage through Aquarius, and the initial ingress to Pisces (4/4/11). Then it covers how to understand Neptune in Pisces for us as individuals and a collective during its 14-year transit beginning 2/3/12. 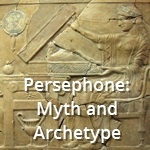 Persephone: Myth and Archetype, 52 minutes, $15. Persephone (asteroid 399) is not widely used in astrology, but many people know the story intimately and identify with the maiden's/queen's path in deep ways. This talk builds upon the Persephone chapter in Living Myth: Exploring Archetypal Journeys, going deeply into the myth that we have received about this figure and what that shaping has taught us about being good members of patriarchal society. Then I unfold aspects of the archetype as we actually live it, to provide context for learning to accept the abduction journeys we all live. 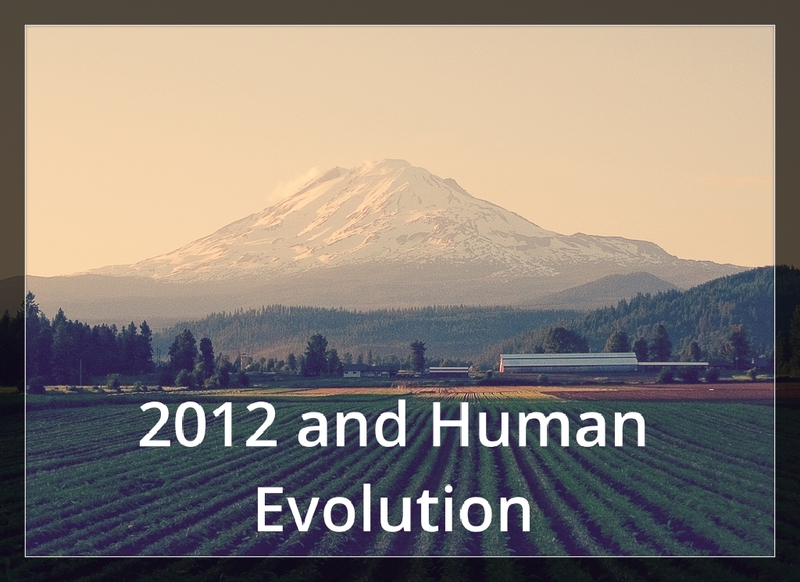 h Yakima: Chiron and Human Evolution, 110 minutes, $15. 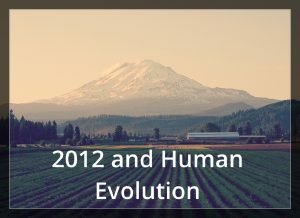 This talk covers just what exactly a human is, what 2012 is about, and the evolutionary opportunities available to humans now. 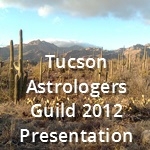 Tucson Astrologers Guild 2012 Presentation, 73 minutes, $10. I was invited to speak about 2012 to the Tucson Astrologers' Guild on December 14th, 2012. This 73-minute talk merges a spiritual perspective with the astrology I practice to describe what empowerment in these changing times means and looks like.